Welcome to Chaat Ka Chaska Street and Fast Food Franchise Outlet in Belgaum. It is a popular part of Brewbakes Café a well-known firm in the food industry, located in New Delhi. We are pioneer in offering distinct, innovative and profitable franchise system for chaat and street food business in different cities and towns of India, thus, Chaat Ka Chaska Street Food Franchise Outlet in Belgaum is here for you. Why Chaat Ka Chaska Franchise in Belgaum? Belgaum is a city in the Indian state of Karnataka located in its northern part along the Western Ghats. It is also an important educational hub, consisting of eight engineering colleges, five medical colleges, and some famous dental colleges across the city and district. Visvesvaraya Technological University, the largest university of Karnataka for technical education for based in Belgaum while K.L.S. Gogte Institute of Technology is an Engineering college is declared autonomous. It was established to meet the growing demand for technically trained manpower for industrial growth of the country. Belgaum is home to Basic degree colleges, nine polytechnic colleges and three law colleges are other educational institutions. The Karnatak Lingayat Education Society, Karnatak Law Society, Rani Channamma University, Karnataka University are some other prominent educational institutes. Belgaum began seeing a substantial increase in the number of professional education institutions. While initially, this was largely in the medical and engineering fields but Belgaum today hosts institutions serving a number of other professional streams as well. This thus, makes the city always swamped with a number of students and another folk of people which are connected with street food love. Moreover, some more crowded places like markets, shopping complexes, tourist’s spot and college campus no doubt receive best footfall. Therefore, owing to your Chaat Ka Chaska Street and Fast Food Franchise Outlet in Belgaum will initiate your food business in no time. Chaat Ka Chaska Street and Fast Food Franchise Outlet in Belgaum serve you with a complete taste of all the tangling flavours. 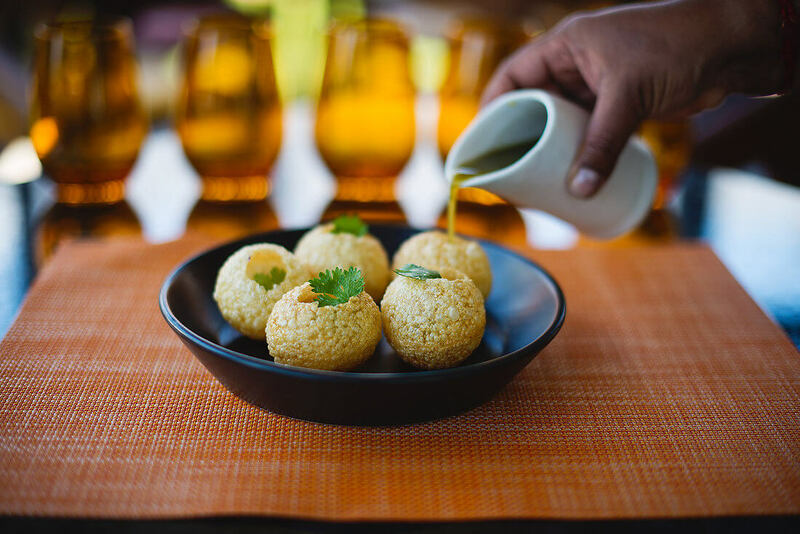 We cater all types of traditional and contemporary Indian chaats like Mater Chaat, Aloo Chaat, Dahi Bhalle, Golgappa popularly called as Pani Puri, Bhelpuri, Dahi Paapdi Chaat, Samosas variety of spicy Pakodas and much more yet to name. These delicious ranges of chaat completely are hygienically prepared and served with its fresh and original mouth-watering taste. Also, our recipes are accepted for their taste all over India and now we aim to make it famous all over the world through our franchise outlet. We promote sustainable Chaat Ka Chaska Street Food Franchise Outlet in Belgaum. While incorporating effective excellence and years of experience in the food business our firm helps the franchise holders with multi-dimensional training. Thus, if you are planning to gain the chance to earn your own food industry just start with Chaat Ka Chaska Street and Fast Food Franchise Outlet in Belgaum you will earn not only good profit but reputation too!